Following the voting process, only those scoring highly enough with both the experts and the consumers or business professionals are deemed to have qualified as Superbrands. Scroll down to see the Relevancy Index, the top scoring brands and delve into the full qualifying lists. 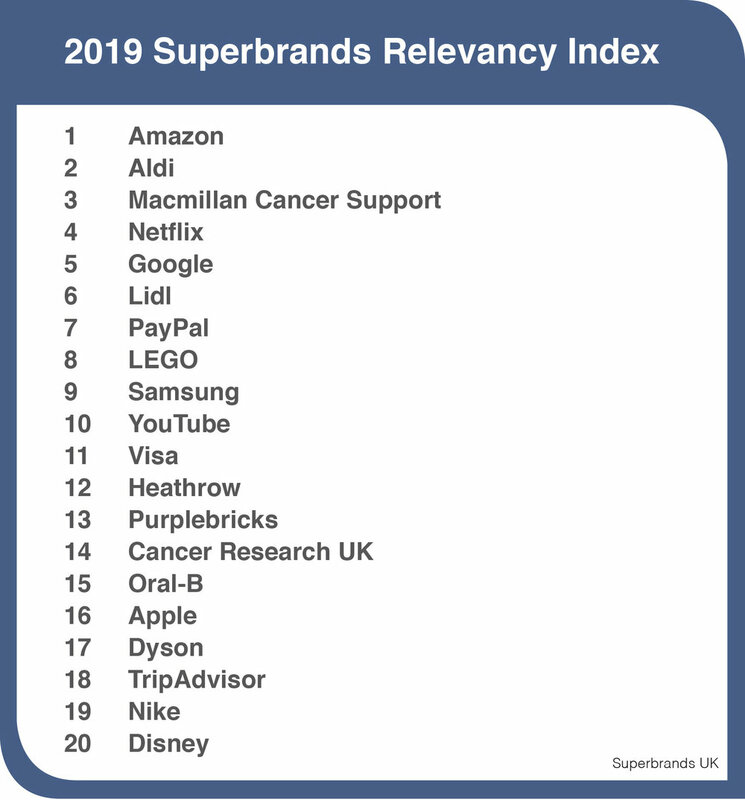 As well as the top scoring Superbrands, consumers were also asked about whether brands were gaining or losing relevancy in their lives today compared to the past. This method surfaces a different list of brands with the highest Net Relevancy Gain, and can be a useful indicator of future potential brand growth or decline.